While a big portion of the 2015 Primetime Emmy Awards was dedicated to honoring the best shows and actors currently on television, there was one particular part of the evening that was guaranteed to punch and kick us right in the feels. I'm, of course, referring to the Emmys' 2015 In Memoriam segment, which was created as a way to pay tribute to notable TV figures who died within the past year. And while this is meant to celebrate each actor or writer's many contributions to the industry, it's hard to not get a little teary-eyed when you see all that the entertainment world has lost. And this year was certainly no exception. 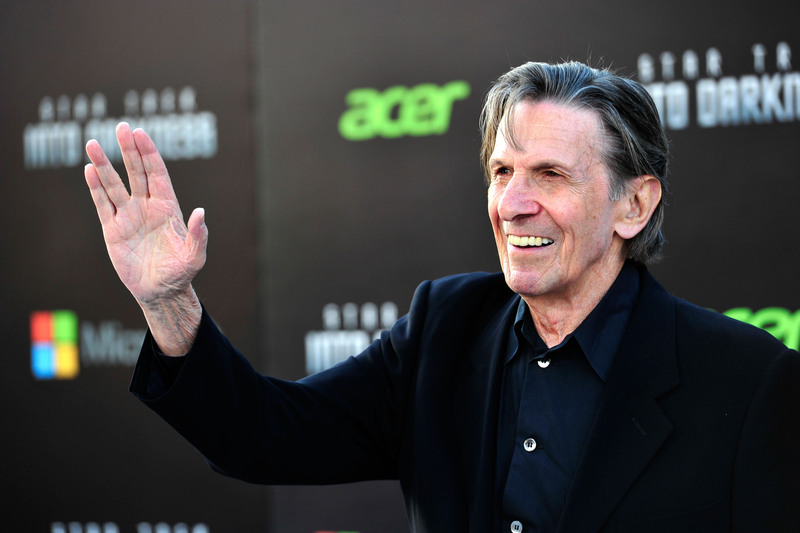 Leonard Nimoy, known best for his iconic role as Spock throughout the Star Trek television franchise, was showcased throughout the touching tribute, along with numerous other familiar faces, such as Edward Herrmann, Mike Nichols, Joan Rivers, and many more. As usual, though, due to the award ceremony's time limitations, not everyone who passed away was able to be included within the reel, which this year included late Can't Buy Me Love star Amanda Peterson. This understandably doesn't always sit well among some viewers, considering that it seems to imply that some people were more worthy of the tribute than others. But regardless of how you feel about the segment in general, there's no way it didn't leave you reaching for a box full of tissues by the end of the clip, which was made all the more emotional by "Somewhere Over the Rainbow" playing in the background. It's always shocking to realize just how many lives were lost with each passing year, but if this In Memoriam proves anything, it's this — they may be gone, but they'll never be forgotten.